Dr Saba Shembe qualified with a Bachelor of Medicine and Bachelor of Surgery from Medunsa in 2002. In 2006, she completed a Diploma in HIV/AIDS Management and embarked on HIV/AIDS research for more than 12 years. She worked as a Provincial Advanced Clinical Care Program Manager (Drug-Resistant HIV and TB) in the Free State for the past 3 years. She has extensive knowledge of Emergency and Casualty care, as well as Male Medical Circumcision (MMC). 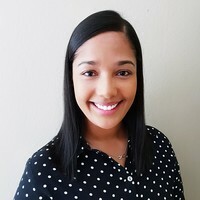 Dr. Carryn Peters graduated from the University of Cape Town in 2010. She has a special interest in aesthetic medicine, emergency medicine, and surgical procedures. She has a diploma in Emergency Medicine as well as a certificate in Aesthetic Medicine from the American Academy of Aesthetic Medicine.